THE BORO DJs SHOW: 7/14/18 A TALK WITH DJ HENDRIX – Radio for the People, by the People. This week on the Boro. MightyL sits down with Hayward, California’s own DJ Hendrix. They talk about such things as the current DJ scene, new gear and up and coming projects. Then we have a special mix by Hendrix to sent you into the night….RIGHT! Also new music from Krs One, Jazzy Jeff and others to boot. 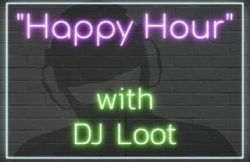 The show pop’s off tonight starting at 6pm(pst) on FccFreeRadio.com in studio 2B. Click the studio 2B listen live tab or download our new app (FccFree Radio) found in your app stores. Swing through and vibe out with ya boys tonight. CHEA! !